The Synod Generosity Team offers information, workshops and ideas to help create a culture of year-round stewardship in your congregation. For information contact the chair, Pastor Larry Smoose. I can’t tell you how many times I’ve talked to Congregation Councils and congregational members who do not understand what the synod and ELCA do with the dollars contributed by our congregations. 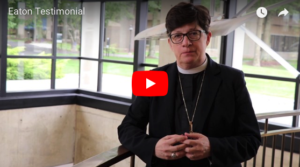 And often our rostered leaders aren’t sure how to teach the compelling stories that arise from the use of these funds in our synod, across the ELCA and Globally. Help is at hand! Living Lutheran (our ELCA magazine) recently had an article and a teaching guide to help congregations understand the impact of Mission Support. This can be used as a three or four week series in adult education classes, condensed as part of new member orientation, and adapted for confirmation and youth. It’s attached here so you can download right now! The Evangelical Lutheran Church in America (ELCA) has reached a preferred vendor agreement with Tithe.ly, a company that offers mobile and online tools to enhance financial giving to ELCA congregations and ministries. 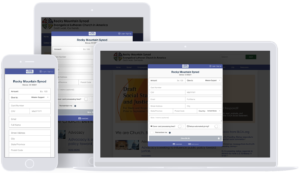 As a national organization working with many congregations and denominations, Tithe.ly offers a cost-effective way to increase congregational giving. Congregations that sign-up with Tithe.ly will save more than 25 percent off the vendor’s regular processing fees. Have Your Considered a Coach? Did you know our synod has coaches? The ELCA recognizes that coaching is important for rostered leaders and for congregations, and with the mission support dollars that our congregations provide help to train coaches. The Story Is Right In Front Of You! People will often ask me what the Synod and ELCA do with our mission support dollars. An example just came to my door – and your door – a treasure trove of resources – if you opened it. The cover told about ELCA Good Gifts. What better way to help children and adults see the practical ways that the ELCA makes a difference in people’s lives AND encourage generosity. Last year I told each of my grandchildren they had $50 to spend on gifts to others. They carefully went through the Good Gifts catalogue and thoughtfully chose their gift. Some Sunday school classes choose a gift and the members bring in special offerings for it. Page four encouraged congregations to think about Veterans’ Day and I wondered how many people know of the support the ELCA provides for its military chaplains. And there was an article about the new edition of Stories of Faith in Action — personal, compelling stories of the work of our church, including download bulletin inserts and short videos. Interested in the stewardship of creation? Page six has resources for Columbus Day/Indigenous Peoples Day. Yes, it can be used next year, but there is also a look ahead for Earth Day, 2018. If focusing on stewardship of time, the article on page seven on the Faith in Action Handbook has 100 ways to make a difference in your community. Yes, I’m talking about Seeds for the Parish. It’s a rich resource right in front of you, with plenty of examples of the work of our church and ways to make your ministry more creative and meaningful. It comes four times a year. Read it, share it with your leaders. What ideas could help your ministry? An attitude of sufficiency – God will give us enough for our needs AND to share with others (II Cor 8) Good stewardship is based on our faith in that promise from God and that faith is practiced by what and how we communicate about finances. First Fruits Giving – we want members to give first to God and to be confident they will still have enough for themselves. The congregation models this by giving first to Partnership Support, with confidence there will be enough for our ministry. Proportional giving that strives for Tithing and beyond. We encourage members to give proportionately – in accordance with what they have. We should model that and work to give at least 10% in Partnership support. Intentional Giving – we encourage members to make a commitment – for their sake, so that they can express their intent to God and plan within their budget to meet that commitment as they do for other commitments – mortgage/rent; food; car; insurance, etc. So our congregation makes a commitment for its Partnership support and for other benevolent giving. Regular giving – we encourage members to give weekly or monthly, knowing that is how we fulfill most of our budgeted expenses. Methods like Simply Giving, or an automatic bank payment are increasingly used. So the congregation should give its proportional share of Partnership support each month. Don’t try to do it all at once – a culture of good stewardship will require 5-10 years of intentional planning/practice and a lifetime of reinforcement. Going step by step and trying a few things a year will be more productive. Include education – both for your team and for the congregation – go to workshops/events; read some good books; bring in local resources. Goals and specific plans to accomplish them are critical to accomplishing what you want. Stewardship involves many other areas of congregational life – work together with Education leaders, Worship team members, Outreach teams, and others to help them understand how stewardship is part of what they do and how they can be more intentional about best practices. These instructions will help you download a variety of resources for Stewardship (and other congregational ministries) from the ELCA. This is a valuable source of practical information and knowledge-building material to help strengthen congregational ministry. SCROLL DOWN THROUGH THE ARRAY OF RESOURCE TOPICS TO “STEWARDSHIP” AND LEFT CLICK ON IT. (NOTE: THERE ARE OTHER TOPICS THAT COULD BE OF BENEFIT FOR STEWARDSHIP INCLUDING “STORIES OF FAITH IN ACTION”; “LUTHERAN DISASTER RESPONSE;” “GOD’S WORK OUR HANDS” AND OTHERS THAT CAN HELP TELL THE STORY OF HOW OUR STEWARDSHIP DOLLARS WORK AT THE CHURCHWIDE AND GLOBAL LEVEL. CHOOSE AREAS OF STEWARDSHIP FROM THE BAR – LEADERSHIP, CARE OF CREATION, FINANCES, LIFESTYLE, SPIRITUAL GIFTS, ETC. More Than Money – a workshop to help congregations look at their financial practices and levels of accountability. ELCA Stewards of God’s Love – a comprehensive manual for congregations that want to develop year round stewardship. This can be downloaded or ordered online. How Much Is Enough? An excellent 60 page booklet on personal stewardship in an age of abundance. Why Tithe (in the Finances category) helps youth or anyone consider a philosophy of sharing, saving and spending in responsible ways.